There are several creative and fanatical flyer designs which are created by awesome designers and are focused more towards global warming whereas others are used for advertising flyer designs. A successful marketing strategy for Churches should not land you up in a situation where you have to exhaust your budget. The Church Flyer Templates are high quality, responsive web templates, contemporary & premium designs developed by professional graphic designers. 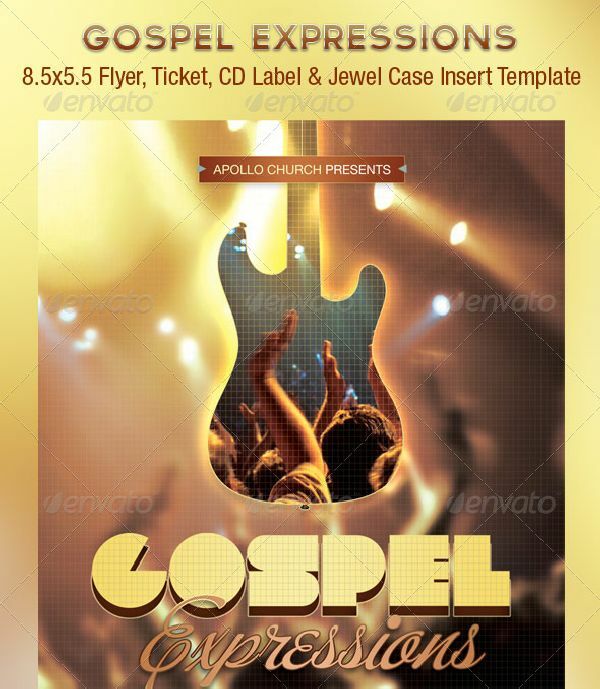 If you are hosting any church concert or an event for any gospel then this template design is just the perfect as it is elegant , clean and simple to modify. This template can prove to be the best flyer for your ever as it has several options for choosing the desired size and as well options for selecting various color schemes. A perfect flyer if you are organizing a Contemporary Church Event. The Risen Church Event Flyer and CD Template can be used for various youth programs, Sermons, Gospel Concerts and lots more. 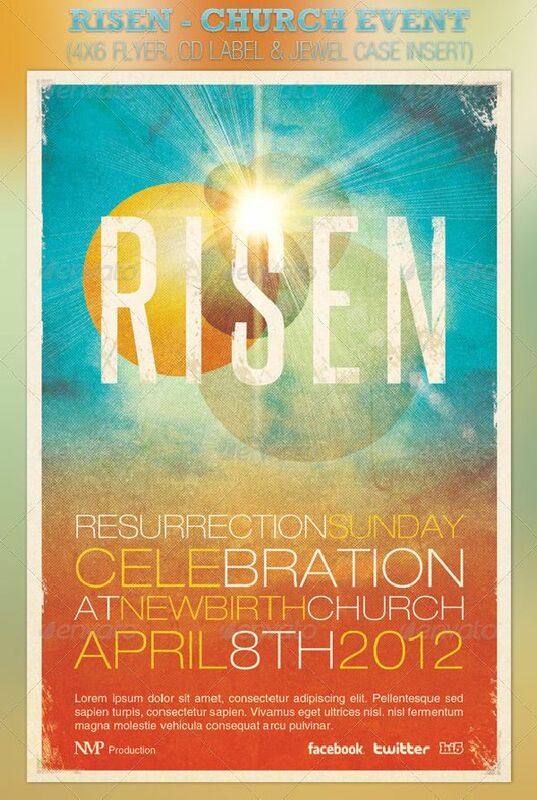 The package of Risen Church Event Flyer and CD Template consists of three Photoshop files. This Flyer is designed by keeping in mind the Youth Ministries & Groups , Sermons and Churches. 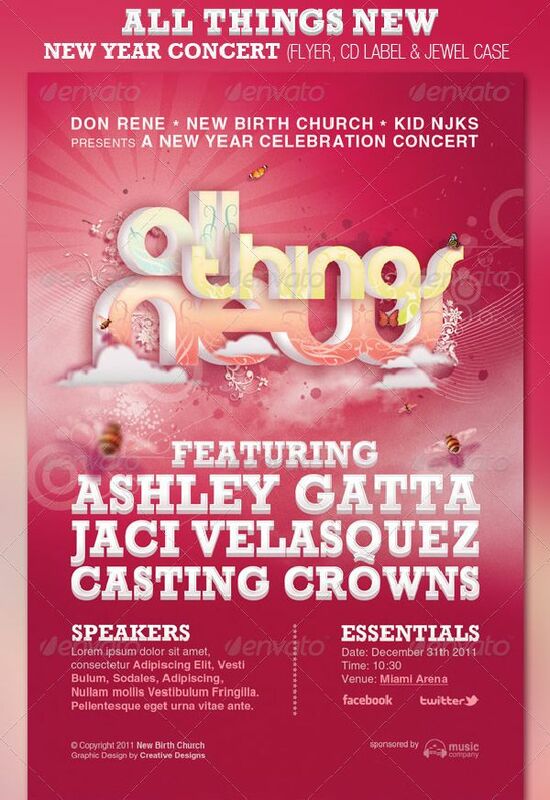 You can simply change the text layers of this Flyer Template and personalize it as per your needs to fit in any event. 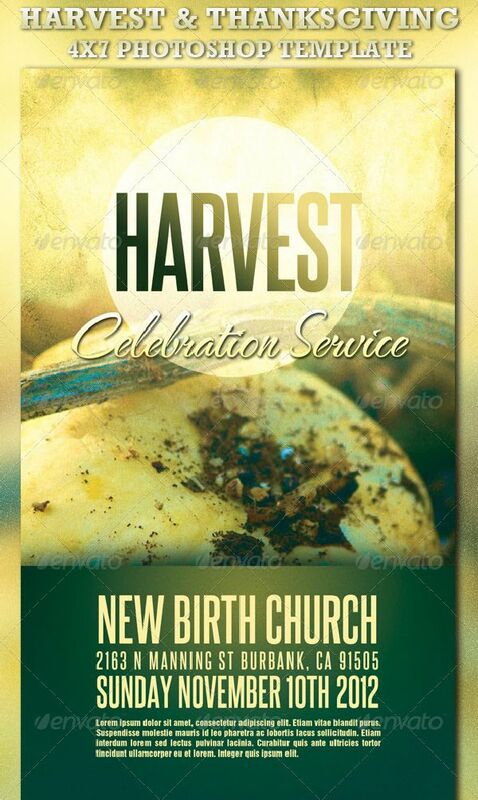 This flyer template is specifically designed for the Thanksgiving and Harvest Day and as well can be used for various church events in the Fall or Switch out the images and as well change the colors as per your choice based on the event you plan to host. 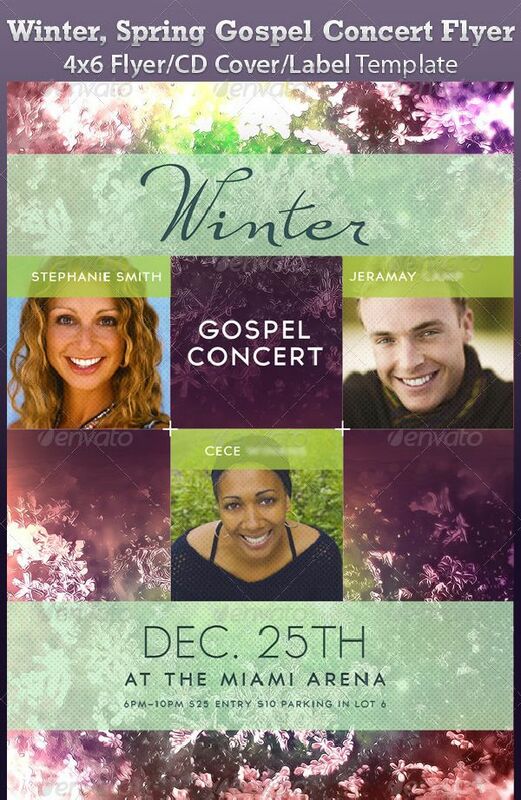 If you are hunting for something that will gear up a cool inviting mood with modern, stylish, distinct and classy look then the Winter Spring Gospel Concert Flyer template is for you as it can be customized for various church events or sermons , concert promotion , audio books , mix tapes. For any New Year Church Event such as Watch Night Services or New Year concerts This All Things New Church Flyer Template is a paramount selection. 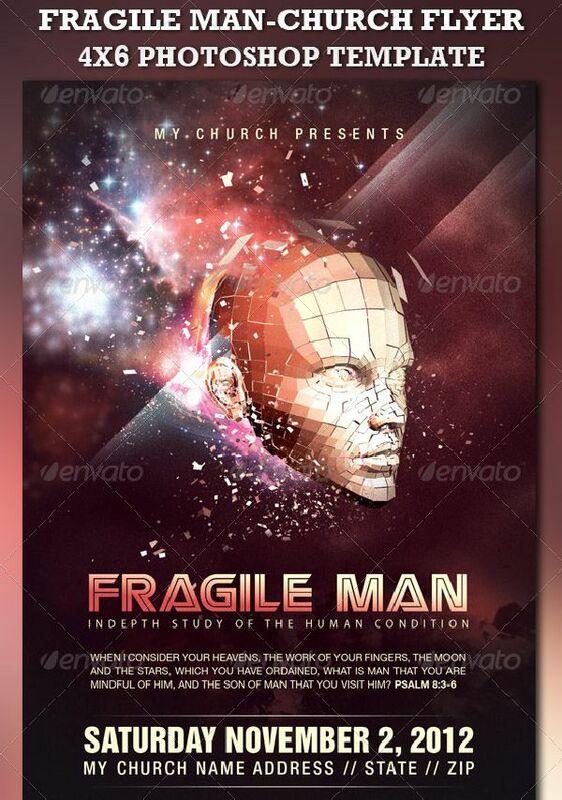 This Flyer Template is designed with the intent of being used for Contemporary Church Events . 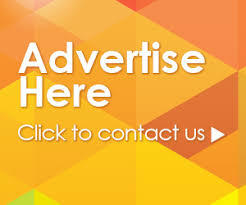 You can use this template for Sermon Advertisement , Youth Conventions, Gospel Concerts or any other event which would require an attention grabbing flyer. 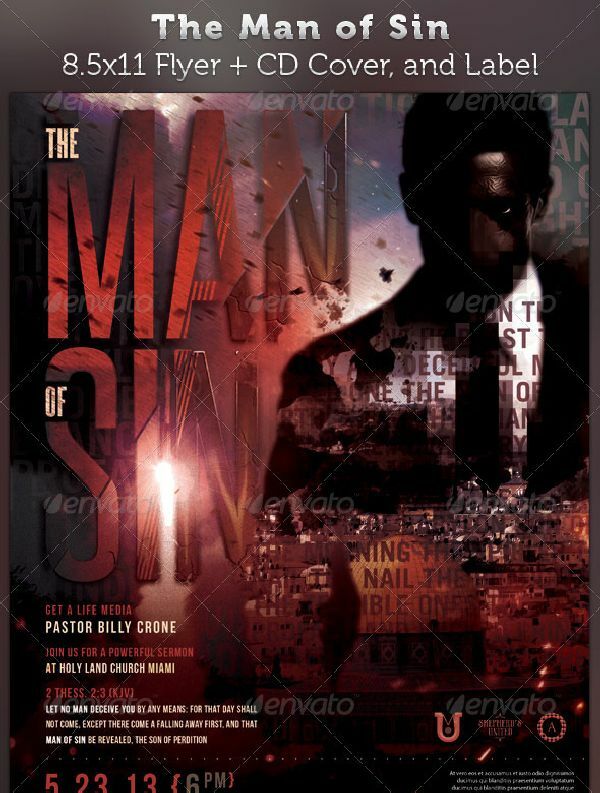 If you are hosting s church event which needs a modern but time distinct look then you can customize the Man of Sin Full Page Flyer and CD Cover to fit in your needs. 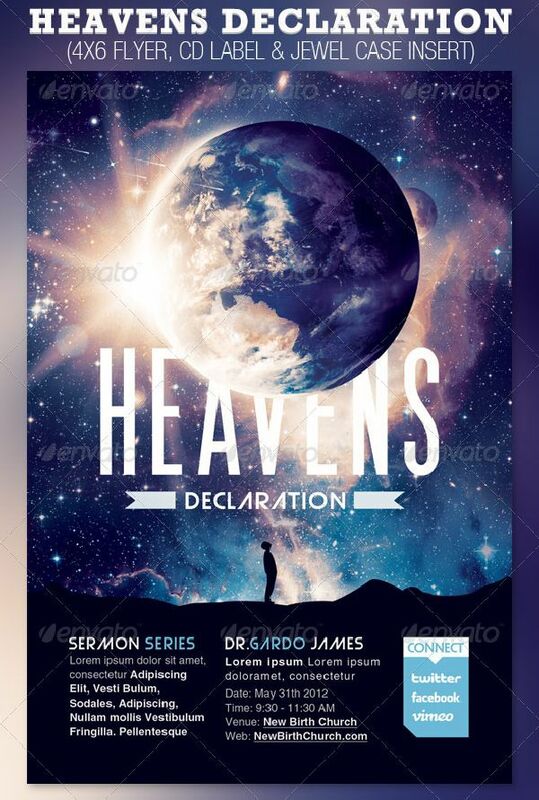 If you want a template that can capture the subject of The Man of Sin, the Anti-Christ that is mentioned in the book of Revelation then this template is perfect selection for your Flyer. If you are gearing up for a retro style contemporary upbeat church event then Gospel Expressions Church Flyer, Ticket and CD Template is for you so that you can use it for any modern eye catching church marketing package ,concerts, youth retreats, fundraisers or just any other event. 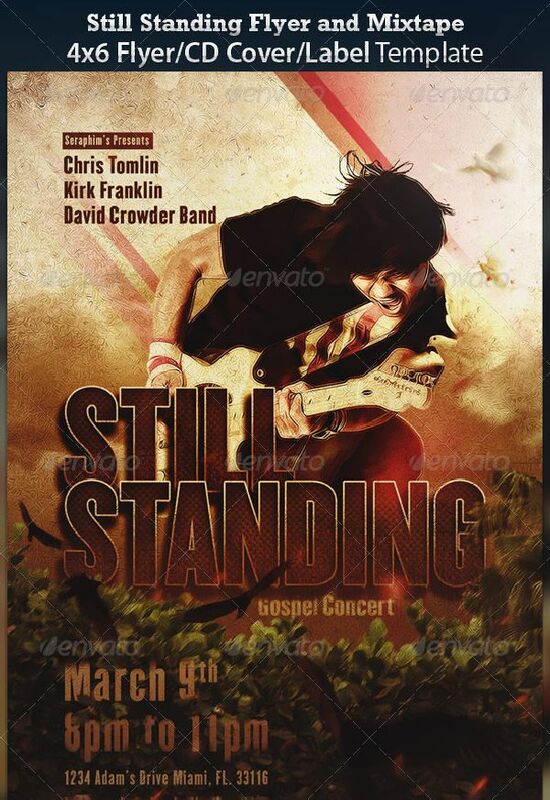 You can use this template for church or concert promotion of audio books, sermons or mix taes then Still Standing Gospel Concert Flyer and CD is the ideal template for customizing it for these church events to give them a unique and modern look.